The card has a "large potential captive market," HSBC's Nigel Fletcher argued in a note seen by AppleInsider, potentially as much as half of the estimated 146 million adults in Apple's U.S. install base. Net income from the card from interest is predicted to be as high has $300 million in the first year, he continued, and up to $1.5 billion five years from launch. Assuming a 70/30 revenue split between Apple and Goldman Sachs, the investment bank could reap as much as $500 million before tax in the card's second year — 3.9 percent of what the firm is expected to generate as a whole in 2021. Fletcher predicts that outstanding balances on Apple Cards could surpass $50 billion in five years, which would be enough to make Apple one of the country's 10 biggest credit card issuers. Despite this optimism, the analyst is maintaining "hold" ratings on shares for both Apple and Goldman Sachs. 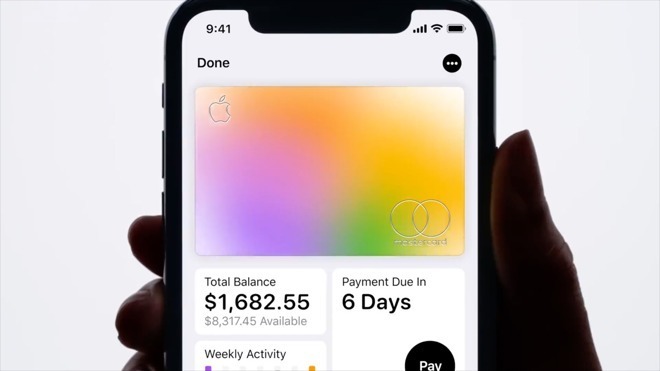 Perks of the Apple Card include same-day issuance handled entirely through an iPhone, "Daily Cash" rewards, and the elimination of any late, annual, or international fees. Apple is even planning a real-world titanium equivalent with minimal personal info.